Do you need to increase your open rates you are getting from your emails? If you are a business owner, I’m sure the answer is, “Yes! You depend on getting a reaction and response or at least and open action to know that your email campaign is working. So how do you increase your open rates? We consulted with several different experts on the web about this and here are seven tips we came up with that might help. 1. Make your title unforgettable.– One thing that attracts people to your email message more than anything else is your title. 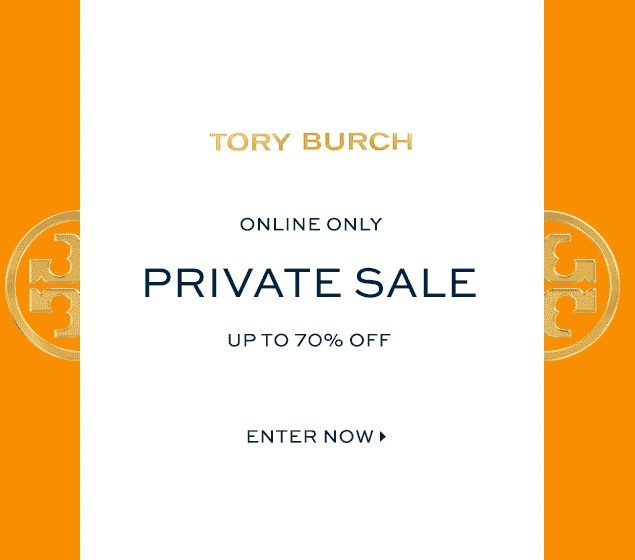 Look at the most recent title of your email campaign and ask yourself if it has pizzaz. Did you start your title with a question or a statement? Some research shows that making your title be a question is stronger than making a statement and compels the reader to open it. So think about your title and try something different. 2. Think about timing.– They say that timing is everything. This is especially true with email campaigns. Sending an email at the wrong time of day where it can get lost in the numerous other emails a person receives can cut your open rate in half. Try to send emails at the times that you think the person may be checking their email or at a time when they are most likely to open and respond. 3. Consider the frequency.– Remember when Mother said, “Less is more.” Well, Mother was half right. Less is more sometimes but more is better at other times. Before we get lost in our wording, let’s make it simpler. If you send too many emails about your product, you will see a drop in subscribers. People may grow tired of seeing your message or hearing from you. But if you don’t send enough, you may lose them from the radar. A good mix of regular emails that are predictable and the occasional unpredictable message may be the best solution. 4. Watch your wording to get by the spam filters.– If you’re not careful, your email messages can get lost in a spam net. To avoid this, watch the wording in both your title and content so that you will not get stopped by a spam filter in some of your users’ email server setting. Many business people intentionally block out messages containing words such as “sales,” money signs, and “cheap.” Use natural wording that doesn’t sound too sales-oriented. Remember, it’s about the customer, not about how much money you can make. 5. Keep your content high-quality. If you want to capture the attention of a busy business manager, you need to keep it high in quality. It’s fine to include a video or photo as this increases the quality of your message as well. Just keep it professional and explain briefly how your product, services, or brand can help the client. 6. Segment your email lists.– If I were to ask you what the most important thing is when sending emails to potential clients, what would you say? If you said knowing your target audience and speaking directly to their needs, you’d be right. That’s why Hubspot and other experts on digital marketing recommend always segmenting your email lists. They make the point that your customers are not all the same and creating different emails for different sub lists of people is beneficial and may increase your open rates. 7. Resend old emails that were not opened.– A tip by the Huffington Post recommends resending old emails that were previously unopened. This avoids you having to construct another email with the same basic content and make refocus the attention of a busy business owner to your message. It helps to see what some are doing that are successful and to emulate some of their techniques within your email campaigns. Below are a few examples of successful email campaigns for inspiration while building your email campaigns. One successful email marketing campaign involved Paypal, the world-renowned online payment system that partnered with eBay for years for their payment system. They are now a strong independent company and payment platform that serves millions of individuals and businesses each year. It was selling the idea that you can use Paypal to send money to a friend after dinner for half the meal and have one person pick up the bill. It solves an age-old problem of having to decide who pays for what when friends are out together or having multiple bills to deal with at the cashier’s window. 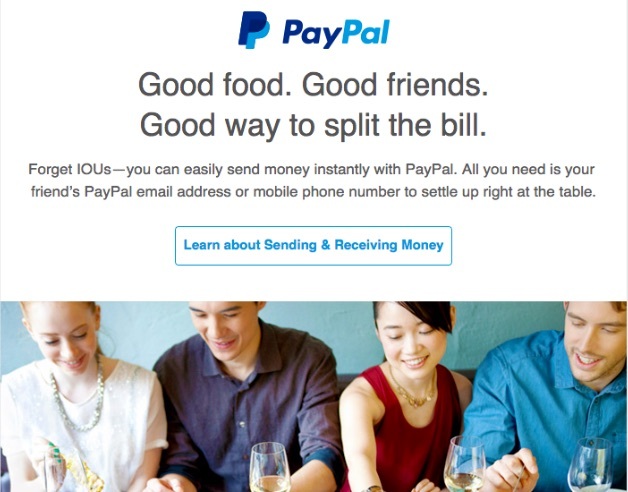 The clever tag lines and the use of photography in this ad made it very successful for Paypal. 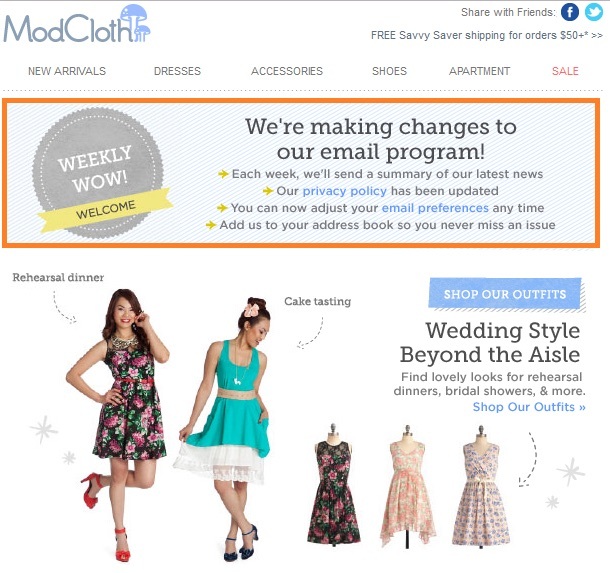 The company ModCloth decided to change up their email marketing techniques to be more aligned with their customers’ specific interests. This ad did not sell anything. It simply stated that they intended to change how they did some things. This gave a warning in advance to their loyal customers so that they would know what to expect. See the photo they used here. This technique will appeal to a segmented part of your audience who think of themselves as exclusive or who wants to get in on something that they believe the majority of people don’t have access to. 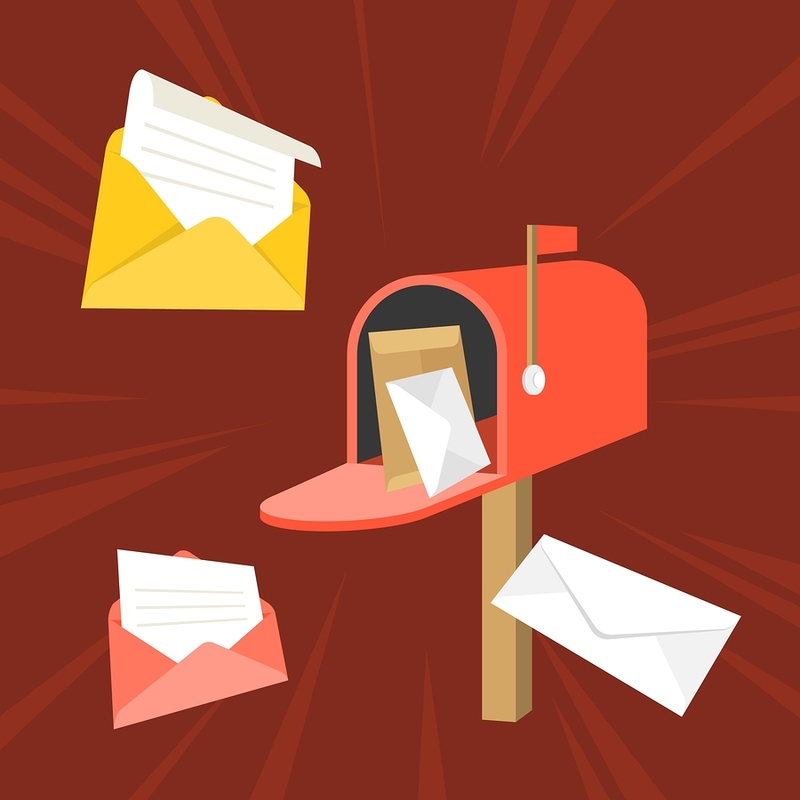 Well, these are some good examples and links you can go to that should help you think about your email marketing campaigns and focus on the changes you need to make to increase your open rates. Getting more opens with your emails requires you to read minds, in a sense. You don’t know what the person is doing, feeling, or thinking when they see your email. They may just be overcome with obligations and don’t have time to look at it right then. With tracking software and other tools, you may be able to see what is happening and adjust when you send the emails with your clients’ schedules. Also, the more that you know about your customers, the more you will be able to improve your open and response rates. So conduct surveys, do A/B split tests, or other actions as you go to see how you can improve your results. Remember that entrepreneurship involves thinking about some things every day including customer response. The more you get to know your customers, the better you will be as a business owner and the more customer will respect you. At the same time, also don’t forget about the power of growing your mailing list through opt-in email marketing and lead generation through other sites. This is something AfterOffers has been helping thousands of clients with on a daily basis. To learn more about how we are actively sending thousands of new opt-in subscribers to mailing lists around the world, click here to get started with a campaign of your own.